Swanky Spread : Shaken Not Stirred. 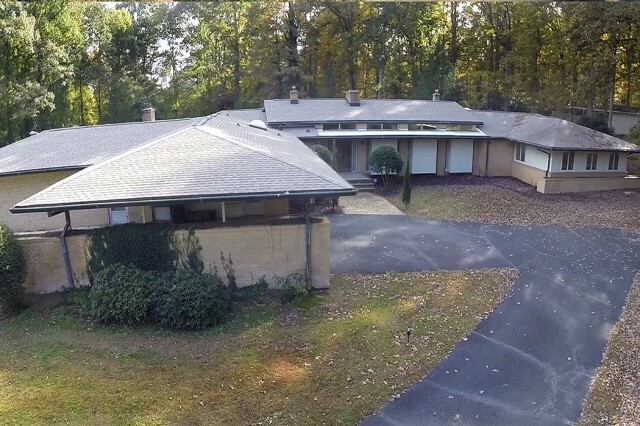 Mid-Century Modern Enthusiast here is a rare opportunity to own your own piece of history. Elegantly appointed and in mint condition this home is one of the areas few moderns to retain it’s “Total FAB”. Dramatic raised entry highlights the volume of space in the formal dining and living rooms. Hand cut granite from floor to ceiling creates a stunning fireplace focal point surrounded by thick walnut shelves, floating stairs, and terrazzo floor. Custom lit soffits cast a lovely reflection on the original wood ceiling. But the drama doesn’t stop here. 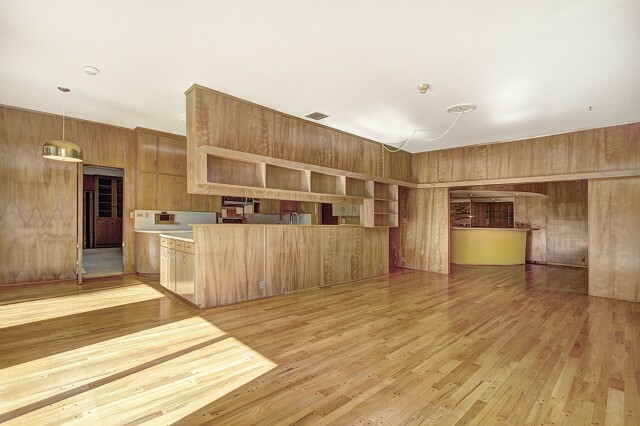 The large kitchen has the original cabinets, including curved peninsula. 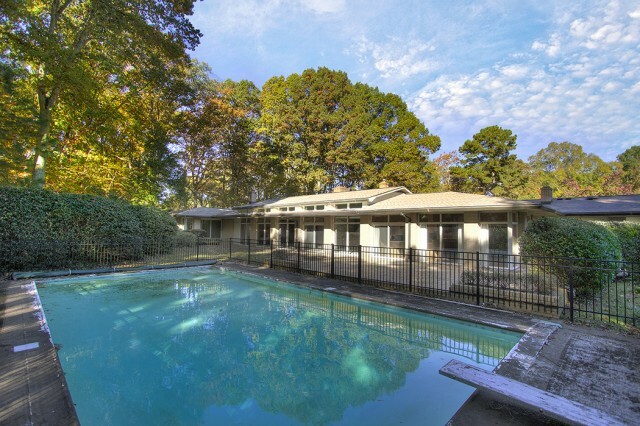 Open to a large breakfast room and family room with floor to ceiling glass and a fantastic view of the inground pool and shuffle board court. Built for entertaining you will love the custom curved bar and the second granite fireplace gives “Swanky” a new meaning. If this wasn’t enough, there is an over 400 square foot room perfect for a pool table, ping pong and media room. With a private entrance off the driveway the uses are endless. Home school, office or in-law suite would work too. There is a huge laundry room, a galley pantry and space where a professional ironing machine used to live. No expense was spared when this home was built and it shows. 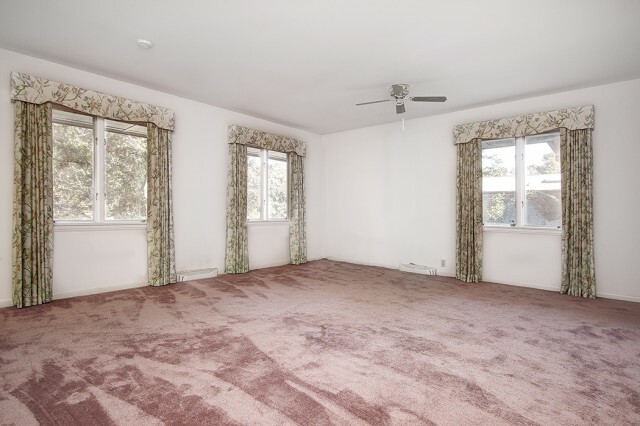 The three expansive (and I mean enormous) bedrooms are situated in the West wing of the home. 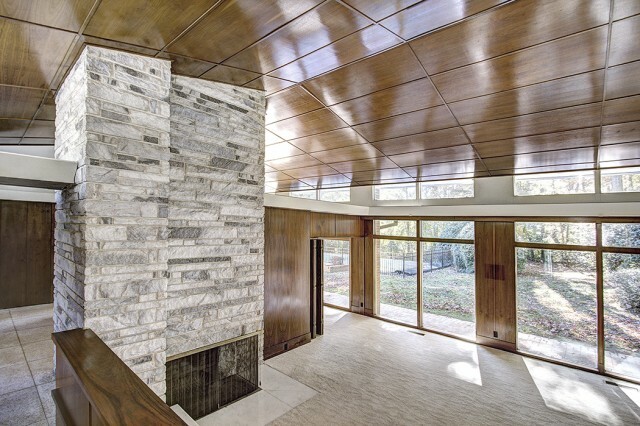 The master features windows on three walls overlooking the back patio and koi pond. A large bathroom comes with a sauna! 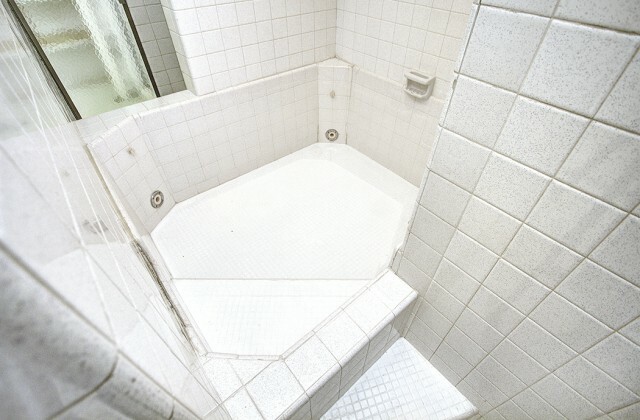 We know you will want to renovate this space but to have the original sunken tub is really something. 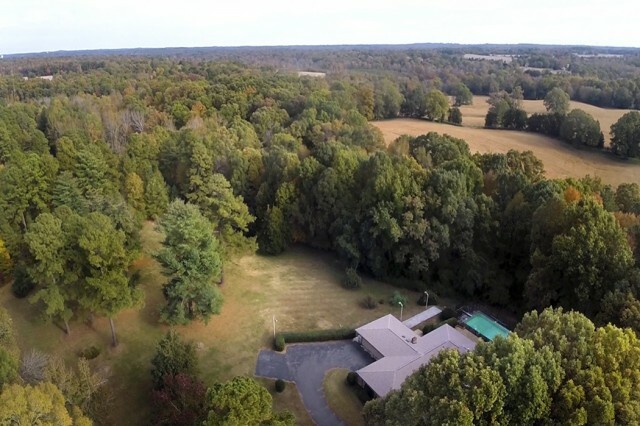 The property encompasses over 5 acres with a private drive that curves deep onto the property. 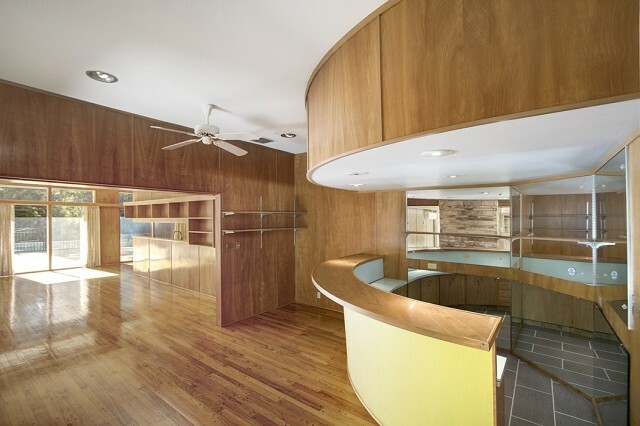 There are two modern homes that form it’s own mid-century modern enclave. This property is still owned by the original family. In 1960 William Engle relocated his family business Oro Manufacturing Co. to Monroe, NC. He and his wife, Marjorie purchased this lovely piece of property and hired architect William Dare Boone Jr. to design the home. William and Marjorie told Boone he wanted a house that was the same size as the home he left in Detroit. But he wanted it to be a ranch style! 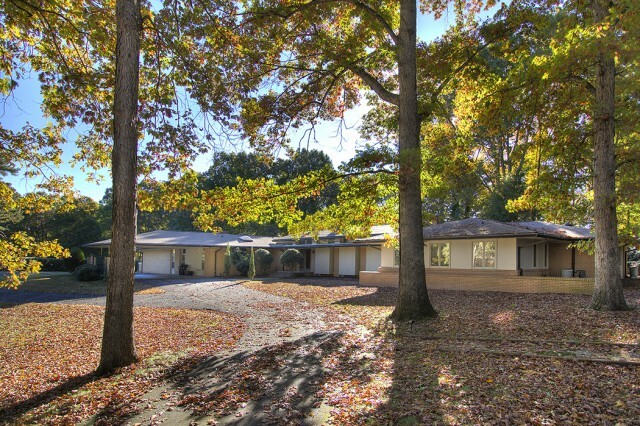 Boone incorporated the game room, formals, lounge with a bar and large bedrooms. The end result is this spacious airy statement home. Once the main home was finished the Engle’s had William Boone design a house for his son and his family which sits to the right of the original home. Large laundry Room and Butler’s Pantry/Mud Room with floor to ceiling storage and sink is great craft project space. Cut Granite fireplace and planter wall.